We normally use the tried and tested benchmark programs PCMark Vantage and PCMark 7 for assessing the performance of the entire bundle that includes the processor, graphics card, hard disk and RAM. However, we had to limit ourselves to PCMark Vantage since HP's ProBook 6470b (B5W83AW) absolutely refused to perform PCMark 7 for unknown reasons. 7256 points confirm the system's good performance. Other systems with higher scores either use a faster conventional storage device or they sport an SSD, like in the case of the Dell Latitude E6430s (i5-3360M, Intel HD Graphics 4000, Samsung SSD PM830). 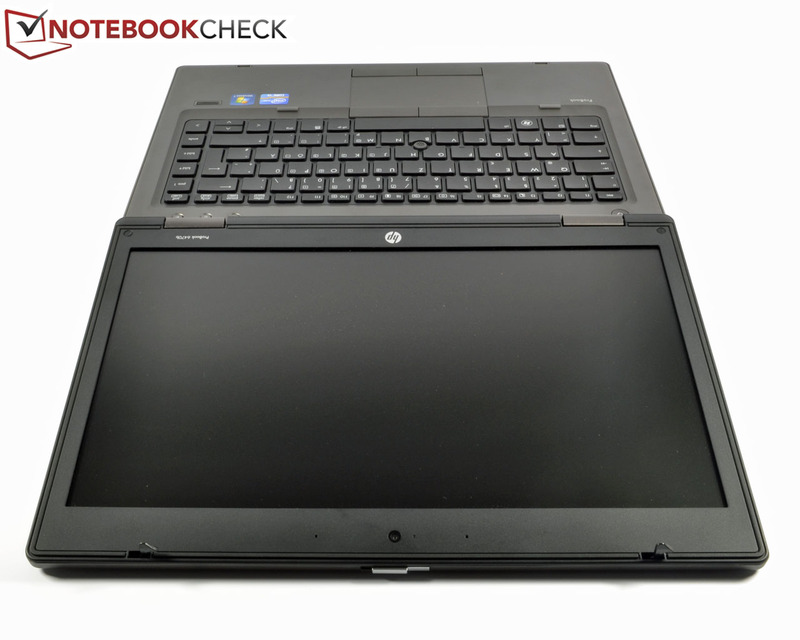 However, the older HP ProBook 6460b achieved very similar figures. 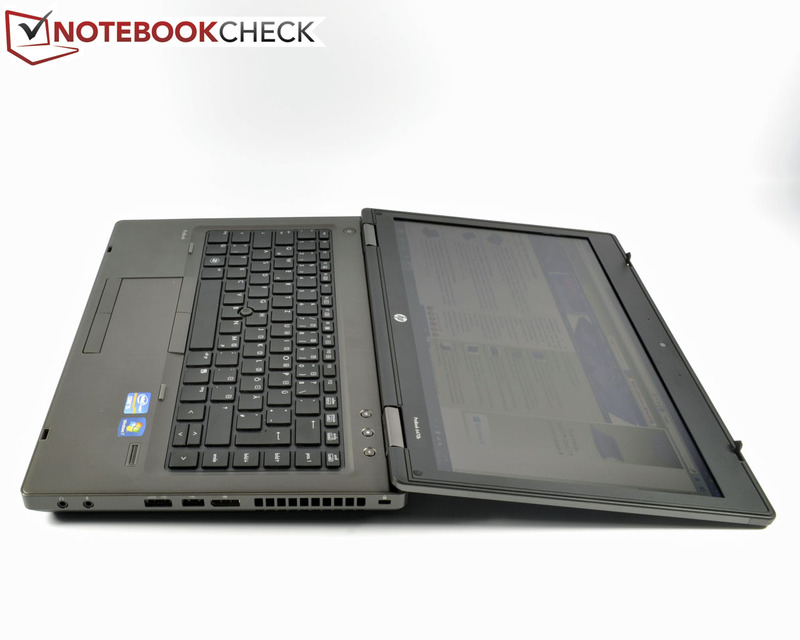 The ProBook 6470b exhibited very good performance in routine use that will be more than sufficient for Office tasks. The customer can choose conventional 7200 rpm hard disks with 320 to 750 GB capacities or a 128 GB solid state drive in the ProBook 6470b range. Hitachi's HTS727550A9E364 with a capacity of 500 GB is installed in our test device, which is enough storage capacity for important business data. The 2.5-inch hard disk is a 7200 rpm drive. HDTune's HDD benchmark confirmed that the Hitachi hard disk has an acceptable transfer rate of 86.6 MB/s with an access time of 17 ms. The burst rate was 148.7 MB/s at a CPU capacity of 4.3 percent. 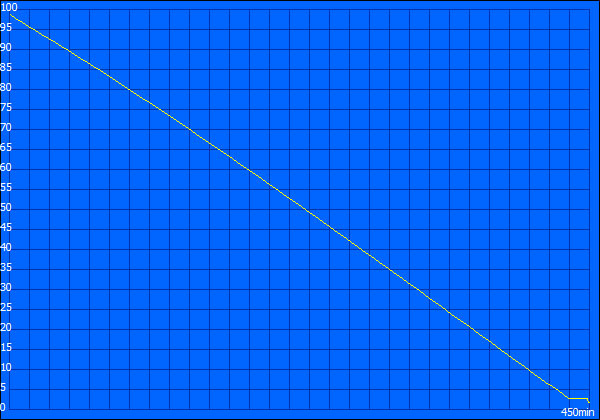 The performance figures re above average when compared to similar devices. The hard disk's activity is regrettably always audible but is drowned out by the fan. The operational vibrations are not transferred quite as extremely to the wrist rest as was in the case of the bigger ProBook 6570b. 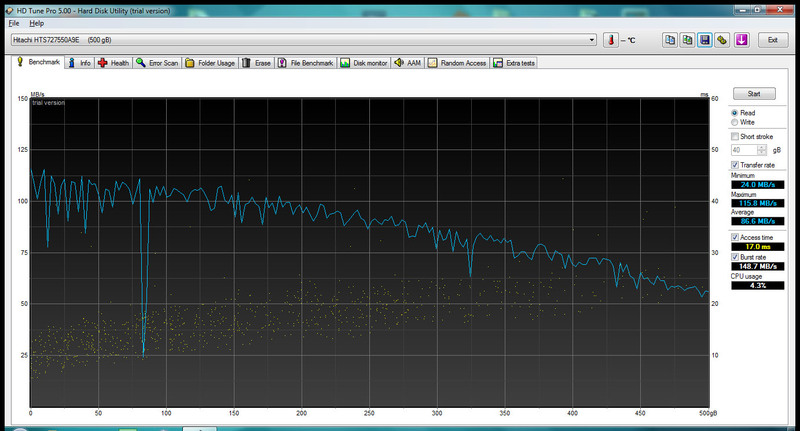 Besides a considerable performance boost, a noticeable noise reduction might be a strong argument for installing a SSD. 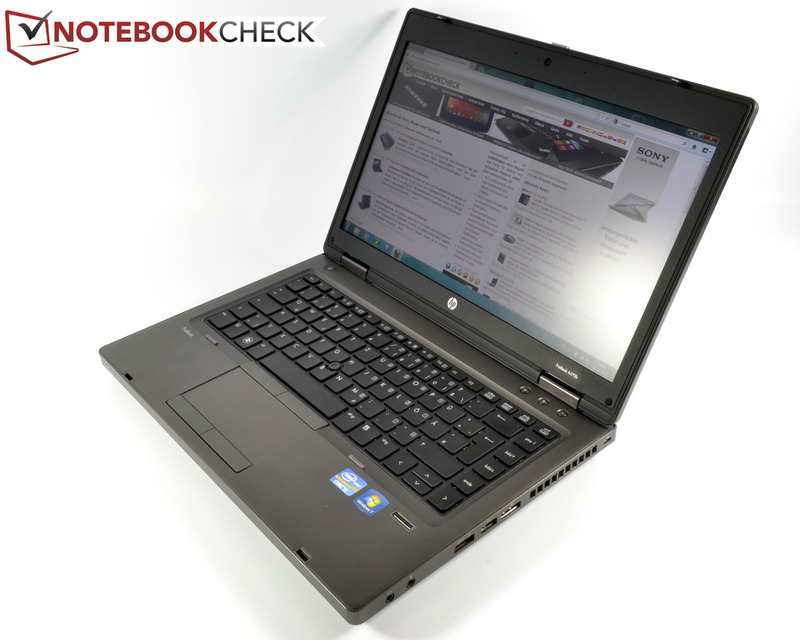 The HP ProBook 6470b (B5W83AW) does not feature a dedicated graphics card. The CPU-integrated Intel HD Graphics 4000 is responsible for the graphics performance. The DirectX 11 capable integrated graphics completed the synthetic benchmarks with a stable clock rate between 350 and 1200 MHz. These rates were maintained at full load. The results roughly range on the expected levels with 617 points in 3DMark 11 and 4276 points in 3DMark 06. The full performance is available on battery power and the laptop also reached the same results after an hour of full load in the stress test. 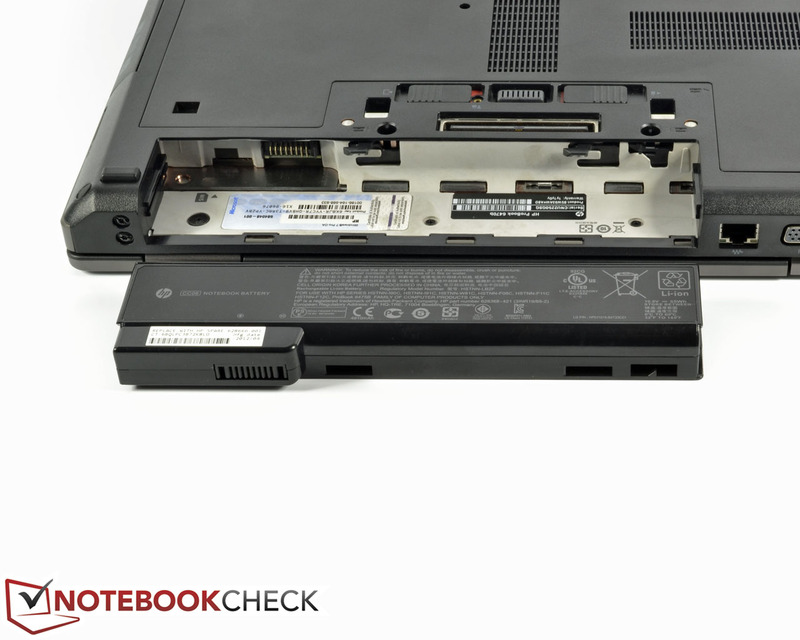 The HP ProBook 6470b (B5W83AW) proves to be an out-and-out business laptop because it does not sport a dedicated graphics card. The integrated graphics card and strong dual-core processor nevertheless allows the occasional gaming urge. We performed the gaming tests using FIFA 13, Anno 2070 and Battlefield 3; three titles that should be able roughly peg the IGP. 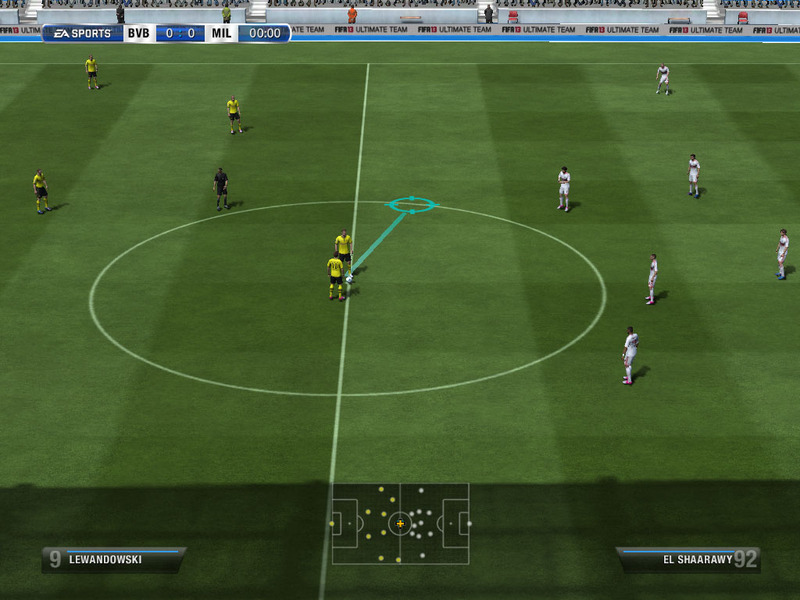 EA Games' latest soccer title FIFA 13 first started to stutter in ultra-settings. 38.4 fps was still possible at high settings. 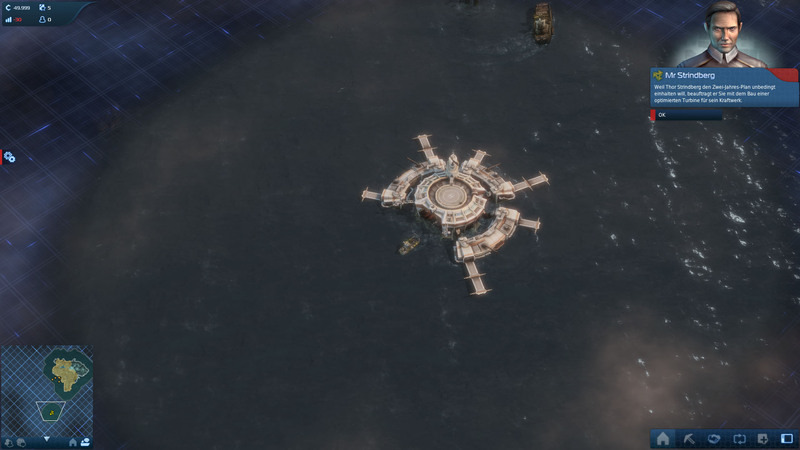 The more demanding strategy game Anno 2070 only ran smoothly at 38.5 fps at low settings. 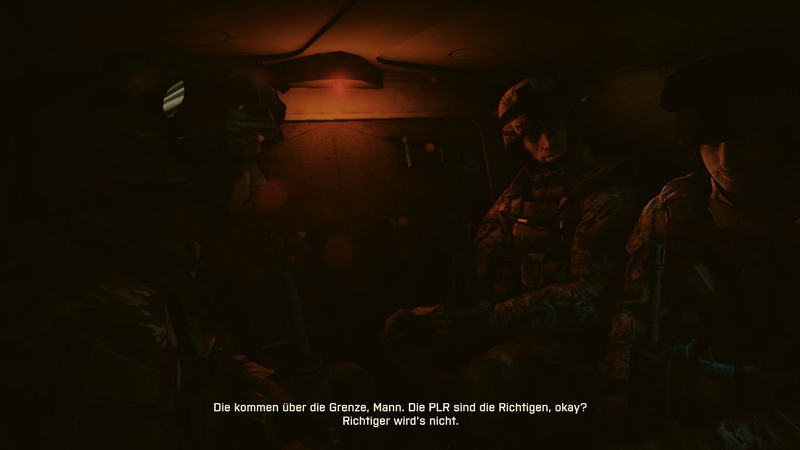 The first-person shooter Battlefield 3 did not exceed 14.8 fps even at low settings. The occasional game should not have high hardware requirements and can only be played at low settings. 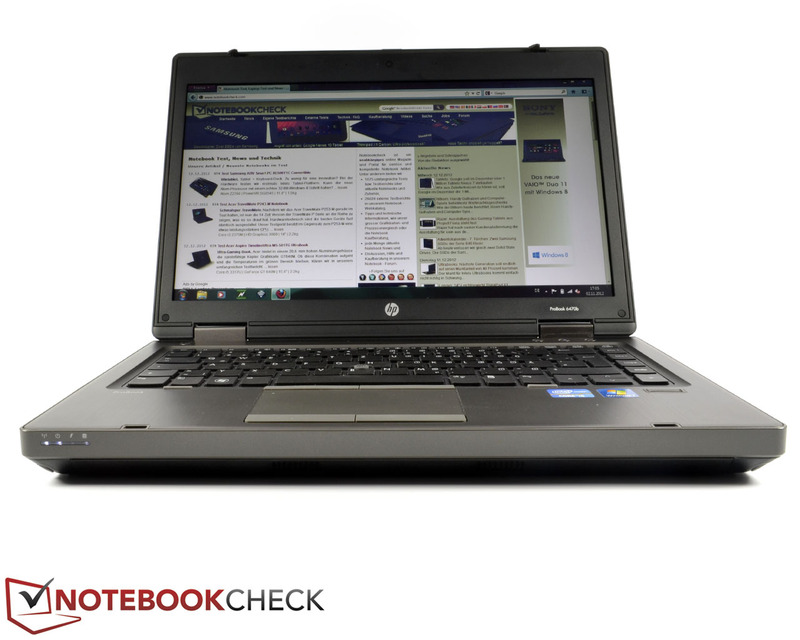 Considering the high-performance components, HP's ProBook 6470b (B5W83AW) does a good job here. The device marginally surpassed 33.6 dB (A) on battery power with 34.8 dB (A) in idle mode. However, the fan is always audible. The noise increased to 40.6 dB (A) during DVD playback and was annoying in quiet movie sequences. We measured 35.7 dB (A) at full load, which is a bit too loud. 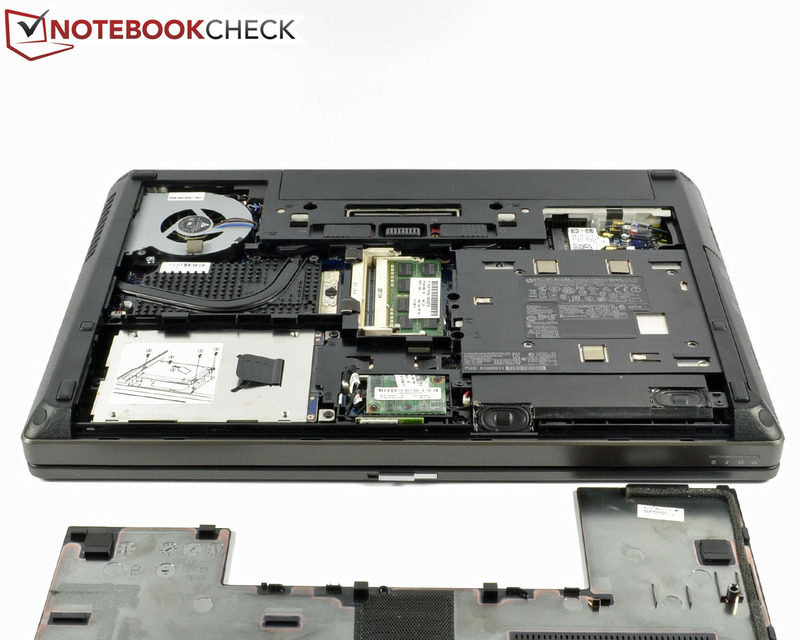 The ProBook 6470b reached a maximum noise level of 41.3 dB (A) in the stress test. At least the fan produces a low-pitched noise, which nevertheless could get distracting after a while. 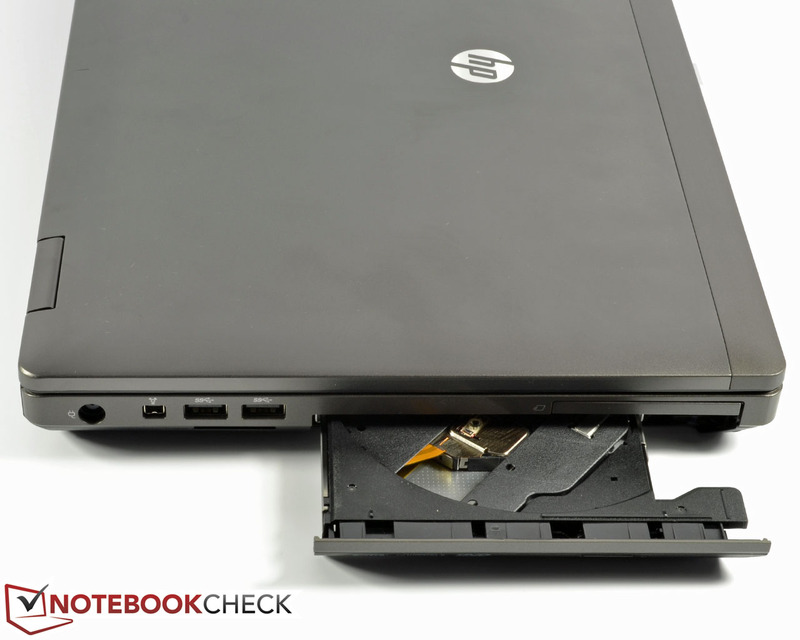 The temperature management of HP's ProBook 6470b (B5W83AW) is perfect. The surface temperatures never exceeded the limit to become intolerable. The device could still be handled after over one hour at full load in the stress test. The casing on the laptop's bottom right, in the area around the vent, heated up to a maximum of 43.1°C. The crucial wrist rest and touchpad areas exhibited moderate temperatures between 24 and 29.4°C. The readings on the laptop's top did not exceed 32°C in idle mode. The average temperatures of 28.9°C on the top and 29.9°C on the bottom displayed good heat dissipation. The Voltcraft IR-360 gauge recorded 37.1°C for the power supply unit at idle. Its surface temperature increased to 54°C during load. It must be noted that the power brick needs to be placed in an environment with circulation. 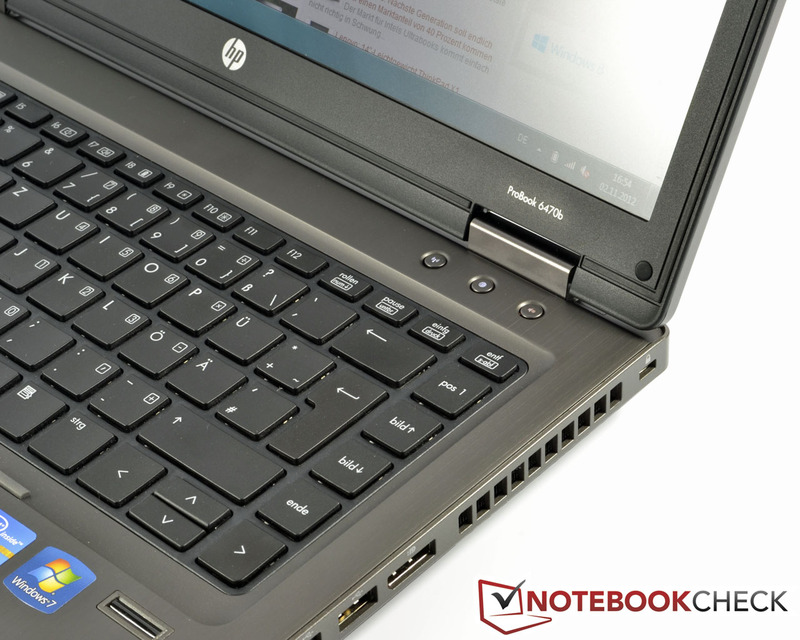 Owing to the energy-efficient Intel HD Graphics 4000, the power consumption of the HP ProBook 6470b (B5W83AW) is within a normal range for an Office laptop. The device consumed between 7.7 and 12.5 watts depending on the brightness setting. 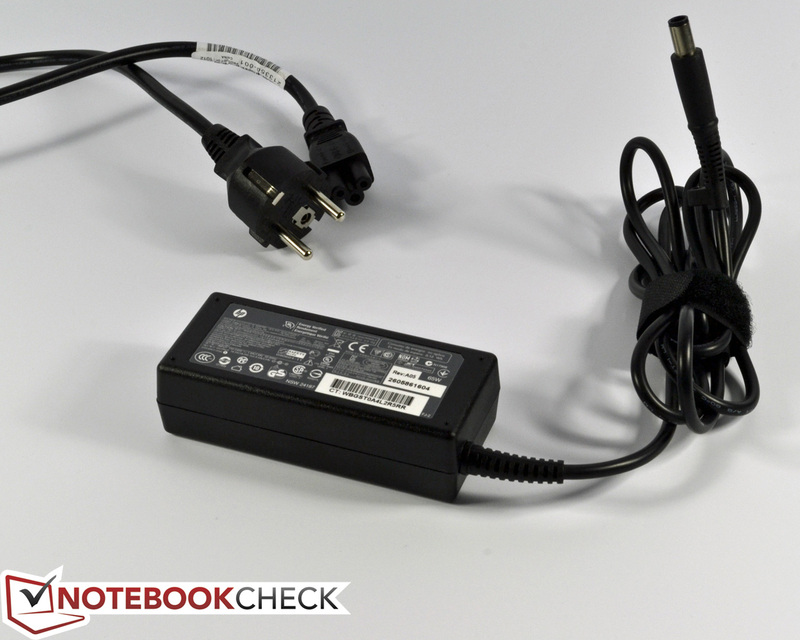 During full load, the maximum consumption was 54 watts; the PSU consumes an average of 41 watts from the socket. An average of 0.1 watts was consumed in both standby and when turned off. 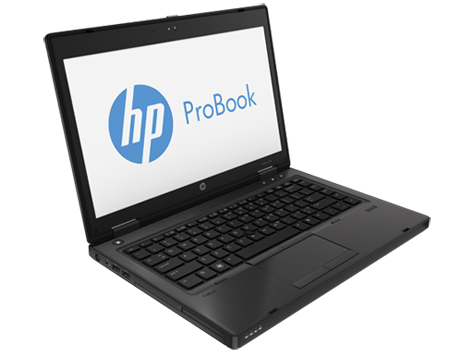 HP specifies a maximum battery runtime of 8 hours and 15 minutes for the 6 cell, 55 Wh lithium ion battery HP CC06 in the ProBook 6470b (B5W83AW). Our test device did not quite achieve that. We recorded a maximum of 7 hours and 30 minutes using the program BatteryEater's Reader's Test. The laptop is in energy saving mode with inactive wireless module and minimum brightness. 107 minutes of runtime was possible in BatteryEater's Classic Test, which simulates full load using active Wi-Fi and maximum brightness. 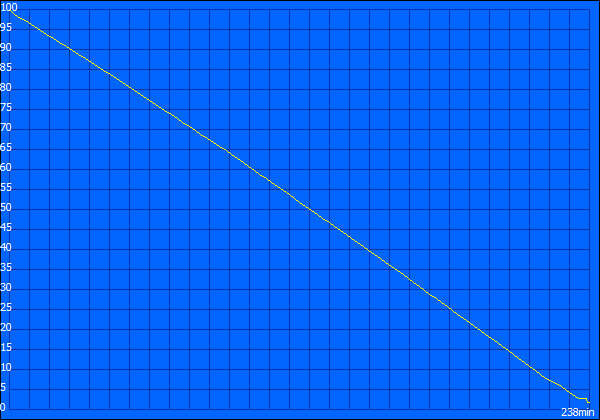 The practical runtime test with prolonged Internet use simulating the opening of various websites lasted for 4 hours and 23 minutes. The energy saving mode was activated as well as the wireless module were turned on and the brightness is dimmed down three levels (approximately 150 cd/m²). DVD playback using energy saving mode at full brightness was possible for 3 hours and 58 minutes. The 65 watt PSU completely recharged the empty battery in a mere hour and 45 minutes with the proprietary Fast Charge Technology. The battery runtime can be increased significantly with the optional 73 Wh HP ST09 battery slice. 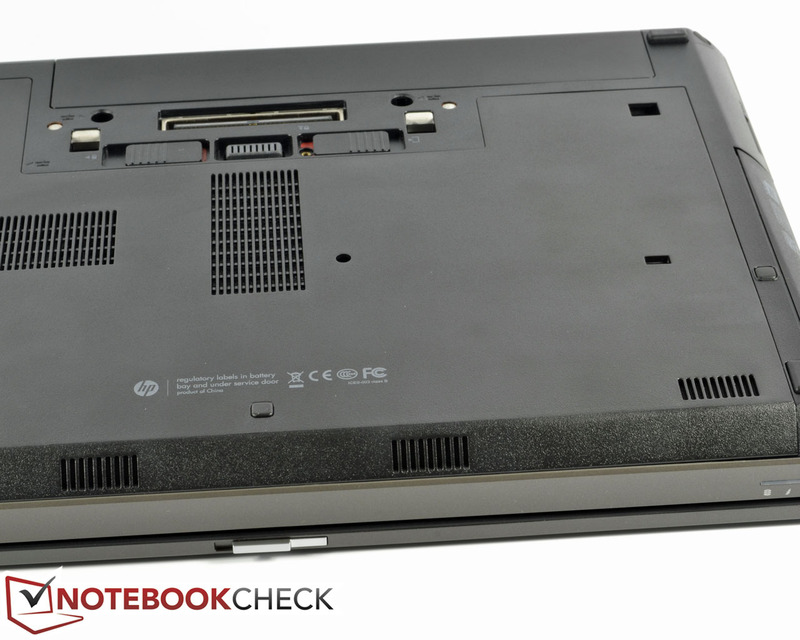 The HP ProBook 6470b (B5W83AW) is definitely an Office device with many assets. The flawless workmanship and elegant aluminum casing convinces at first sight. Moreover, the 14-inch laptop features a comprehensive list of connectivity options. The matte screen is contrast rich and bright enough to even remain legible in outdoor use. The present interfaces barely leave anything to be desired; it is just the common HDMI socket that is not installed. Both professional users and private customers can rely on decent system performance. 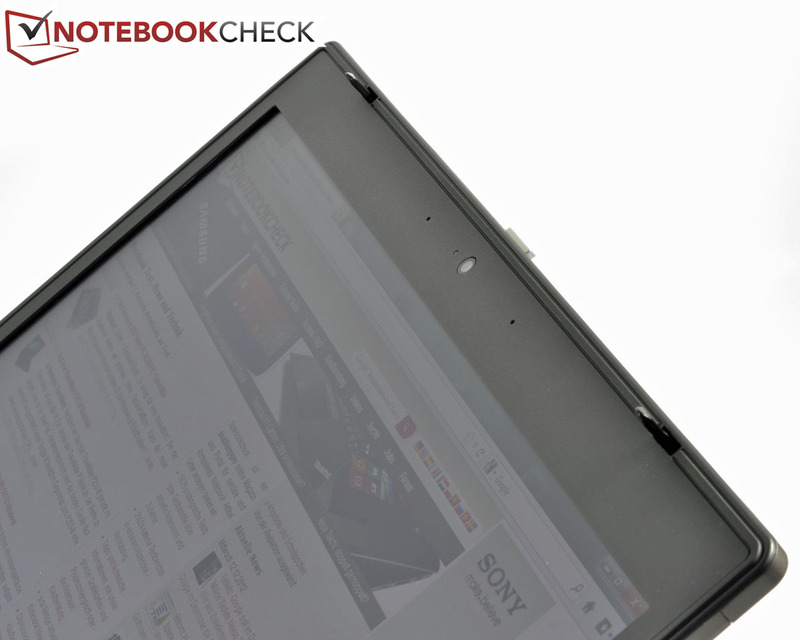 Beyond that, the laptop is very portable owing to its compact size and good battery runtime. The accessible innards result in very easy maintenance and upgrading the device yourself is no problem. The audible hard disk and always present fan are a drawback. The HDD can be replaced with a silent and fast solid state drive if desired. The supposedly superior EliteBook 8470p's price is very close to that of the ProBook 6470b and might appeal more to solvent customers. 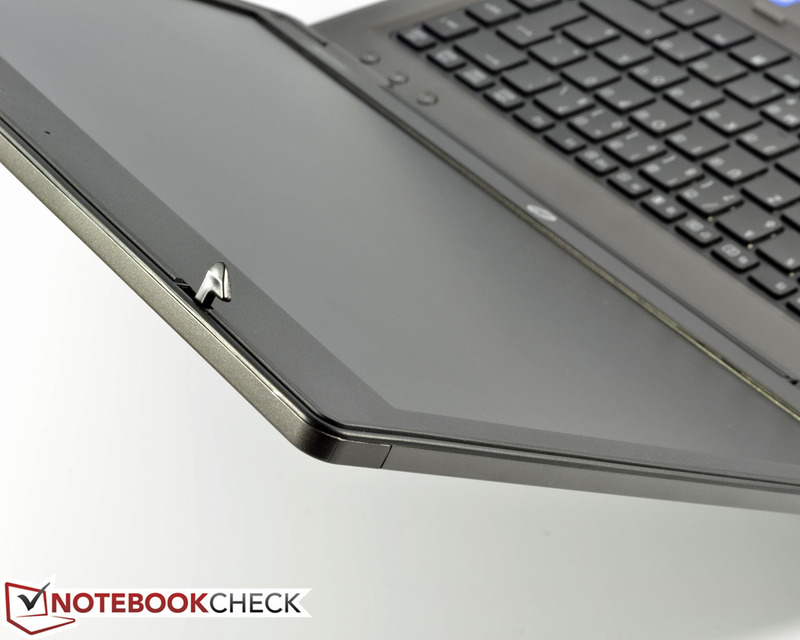 If you do opt for the ProBook 6470b, we would recommend a version with the HD+ screen. It features a higher pixel density and better brightness. 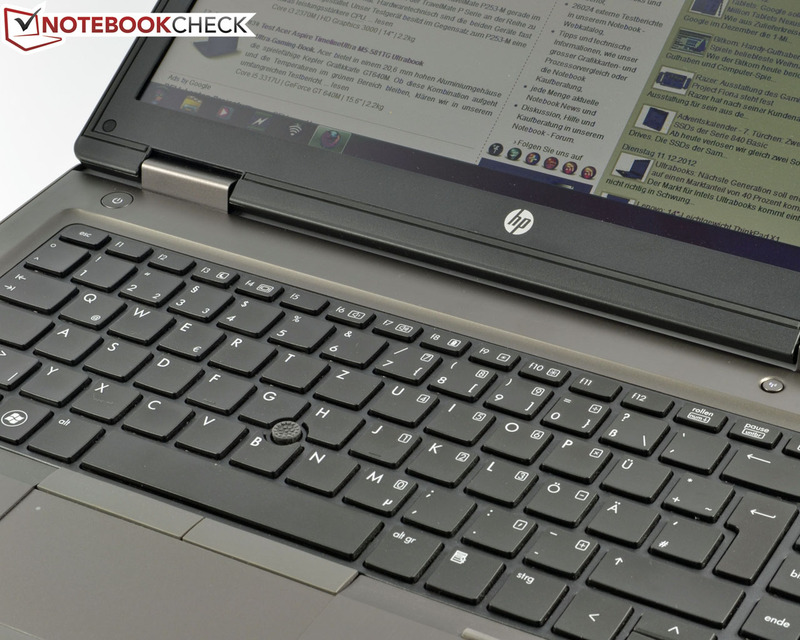 The HP ProBook 6470b (B5W83AW) is a well-equipped laptop at too high a price. Particularly when looking at the competition, the Asus' B43E for 650 Euros (~$850), Dell's Latitude E5430 for 700 Euros (~$920), Lenovo's ThinkPad Edge S430 for 740 Euros (~$970)and the L430 for 800 Euros (~$1050) are better bangs for the buck. The hinges hold the display firmly. Trying a random group-presentation is possible due to the wide opening angle. The HD webcam is sufficient for web chats. can be released using a slider mechanism. The input devices are promising. The 65 watt PSU is well-sized. The docking station and battery slice are connected here. Almost all components can be easily accessed beneath it: RAM, HDD, fan and even the CPU can be exchanged by the user. which can be opened over 180°. placed symmetrically and also sound a bit tinny. The fingerprint reader protects against unwanted data access. also includes hard disk encryption. A big maintenance cover takes up most of the bottom. The 55 Wh battery's runtime does meet up to our expectations. The well-crafted casing featuring elegant materials and a timeless (but staid) design. The screen could be a bit brighter for a 1000 Euro machine. Cool casing, but very audible fan. Better noise management expected. 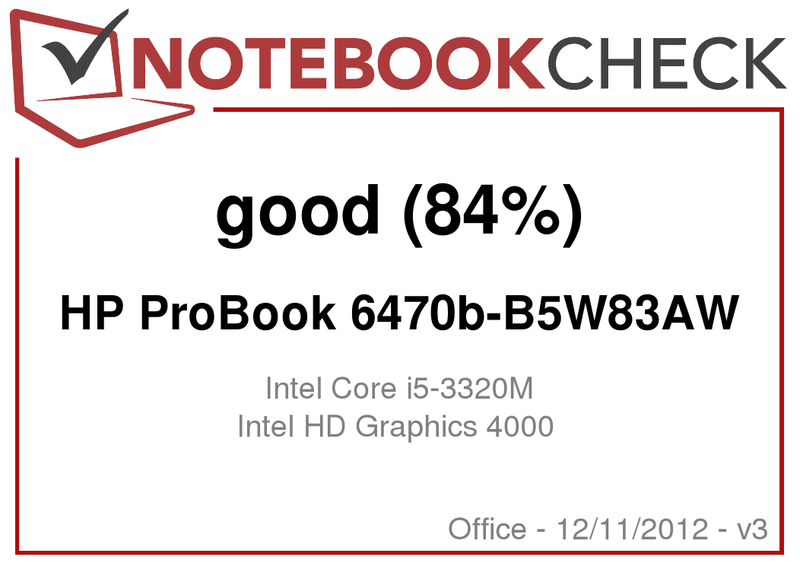 HP's ProBook 6470b (B5W83AW) still has a serious contender in the older 6460b. 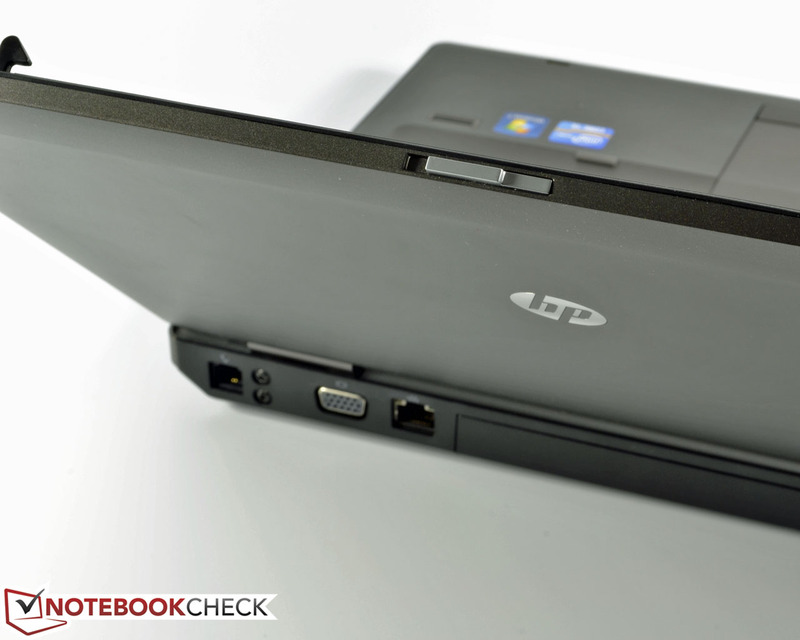 Another HP rival would be the EliteBook 8470p. Other manufacturers also have interesting devices like Dell's Latitude E6430s and the Vostro 3460. Lenovo's ThinkPad T430s is also an opponent.